Here, I pose with one of my schools’ signs on the edge of campus. I can’t believe that four years have come to pass. Sometimes, it feels like yesterday, that I was a high school senior preparing for college. Then, I realize how much I’ve grown and who I’ve become during my college experience, and know that it was definitely not yesterday. After three major changes, I received my Bachelors Degree. I majored in Communication Studies and minored in Education Studies. Now that I’m home from all of my adventures (that I’ll post about later), I’ve begun the job search. I’m nervous, because searching for a long-term, professional job is different from any sort of teaching or internships that I’ve had in the past. Not to mention, that I find my weaknesses, as I get further into the desired employee qualifications. My parents and older brother agree that they post higher standards than they actually expect in a candidate. That being said, it’s also allowed me to know what things I should independently study and look for books on. 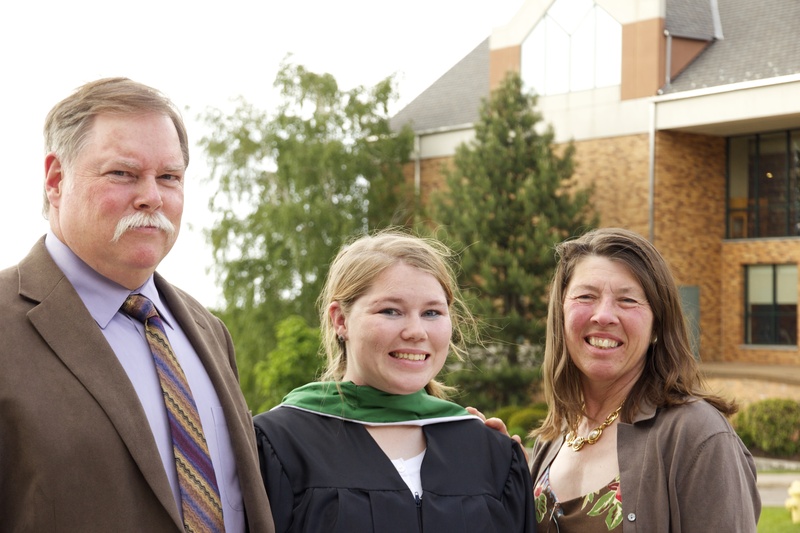 With my parents at school after the commencement ceremony. I’ve enjoyed being home, because that has allowed me to connect with people where I wish to begin my professional career, and not 3,000 miles away. I’ve begun to network, but I’m still impatient, because my “ten year plan” begins at getting a job (as does getting my own apartment and a car). My first two years at school, I developed a lot socially and emotionally- I became a truly independent woman. My last two years, I developed academically. I developed interests and independently studied topics I found interesting. I developed new skills, learned new computer programs, resume skills, and interview skills- and now I can’t wait to show them off. This final year has truly made me feel prepared to take on the professional world. I still have many qualms, and sometimes I wish that I would have decided to take a fifth year of classes, but I couldn’t stand to be away from California any longer. I know that being back in the Silicon Valley will be more beneficial than more schooling. So, I took my finals; bought a bunch of school merch; and prepared to move out, with the help of my family and friends. 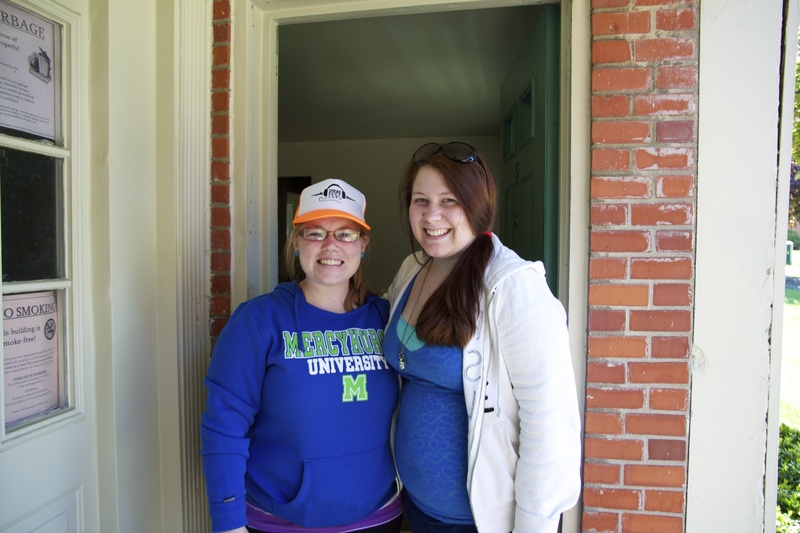 Here I am with my ex-roommate, turned best friend, Kahla, as she helps me move out. I tried to live minimalistically my final terms at school this past year, because in previous years, there was so much stuff in my apartment to move, that it caused storage issues, and for me to miss my flight home. College was everything they said it was going to be- and everything they didn’t say it was going to be- but I’m glad (and so ever thankful) that I got to go. 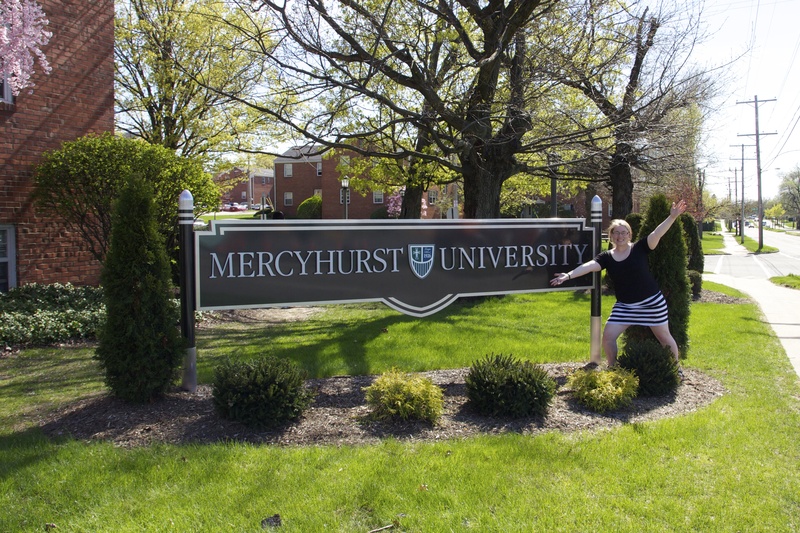 It’s been a good, Mercyhurst. Me showing off my empty apartment during move out. Take it easy and thank you. 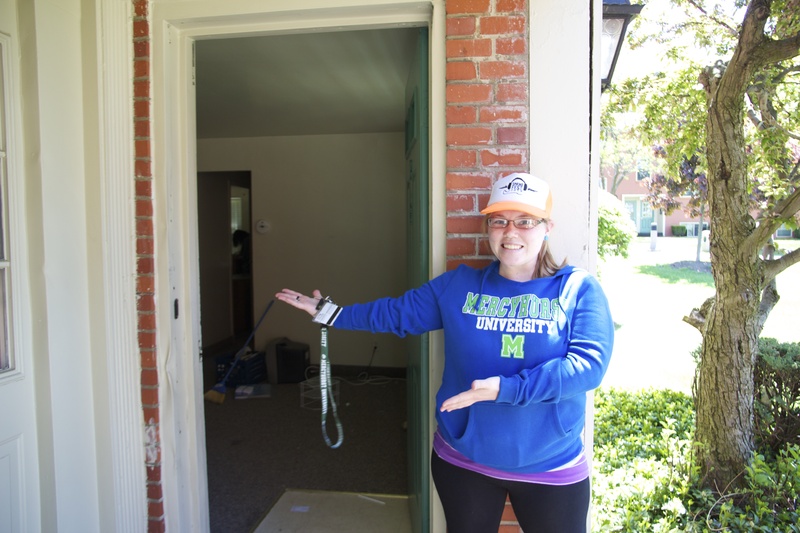 This entry was posted in Blog Post and tagged college, college graduation, communication, degree, education, erie, erie pennsylvania, graduation, lake erie, Mercyhurst college, mercyhurst university, university on June 8, 2013 by Katie.